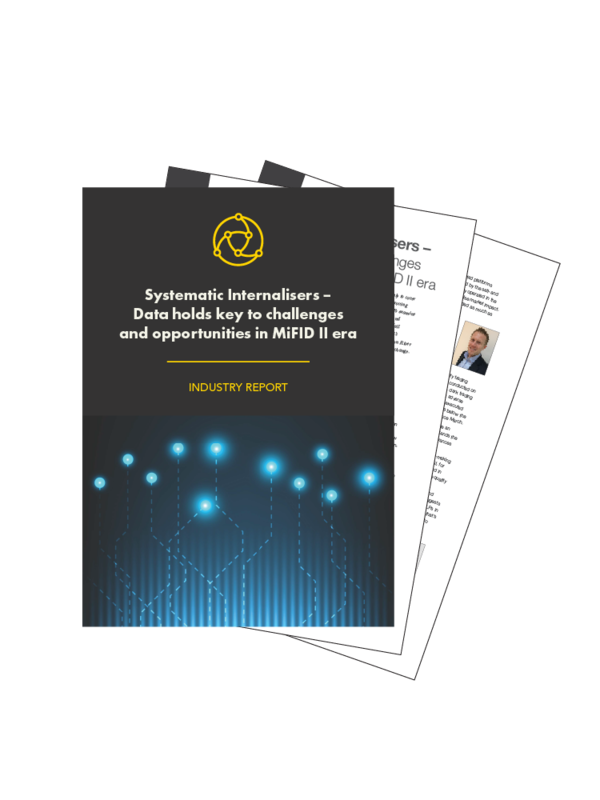 Get this in-depth industry report to learn more about the impact of the MiFID II systematic internaliser (SI) regime. Vela, in association with The Realization Group, has compiled a comprehensive report into the growing influence of systematic internalisers (SI) and how data is changing the approach of investors and financial traders post-MiFID II. With input from key industry experts from Vela, Citi, Sun Trading, Rosenblatt Securities and Aquis Exchange, this MiFID II report provides invaluable insights into the future of liquidity provision in the Financial Services industry, the role of systematic internalisers, how buy-side and sell-side trading firms are evolving their approaches, and why transparent and granular data will dictate decision making around brokers and venues and ultimately help achieve the best result for the end-investor. Which factors are contributing to the success of different SIs? What kind of models are SIs building for attracting order flow? How are firms addressing the challenges connected to sourcing prices and trading on this proliferation of trading venues? What are the key factors that support real-time price discovery and help enable best execution across these trading venues? How have MiFID II’s requirements regarding pre-trade and post-trade transparency shaped the way SIs operate? How "smart" are smart order routers starting to become? What are the cost implications for buy-side and sell-side firms under the new SI regime? Who is this industry report for? If you’re a Head of Trading or a Head of Market Structure, this industry report will give you a greater understanding of the role of SIs in the post-MiFID II landscape. However, there are plenty of great insights for any Financial Services trading professional. Coordinated by Chris Hall and Mike O’Hara of The Realization Group.